Chicken is such a great meal for kids to eat, it is soft and easy for them to chew and provides protein which is vital to growing kids. 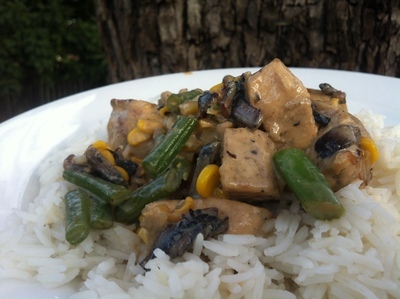 Combined with vegetables and a creamy white sauce, this dish should prove irresistible to kids and adults alike. Prepare brown onion and mushrooms by chopping into small pieces. Place olive oil in a fry pan and heat on medium high. Once warm, brown onions and mushrooms in the oil, using a garlic press to crush the garlic clove into the mixture. When onion is browned, put chicken in and brown on all sides. 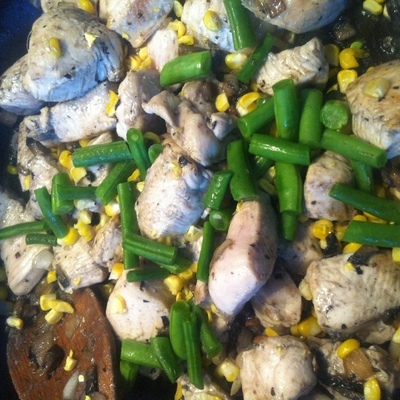 Once this is done, put green beans and corn in and cook a few more minutes. 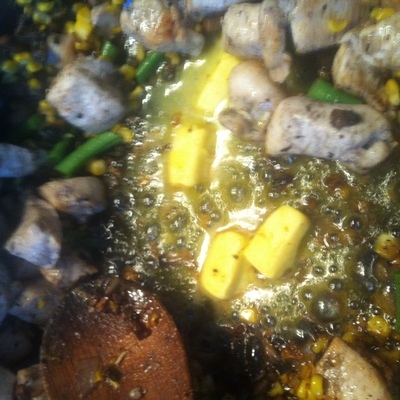 Then get butter and put into the middle of the pan to melt. Make a hole in the middle of the pan and put butter in. 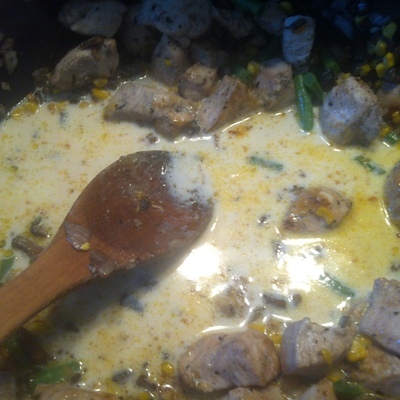 Once melted, put flour on top of the butter and stir, then add milk a little at a time to make the sauce. Then add milk to complete the sauce. 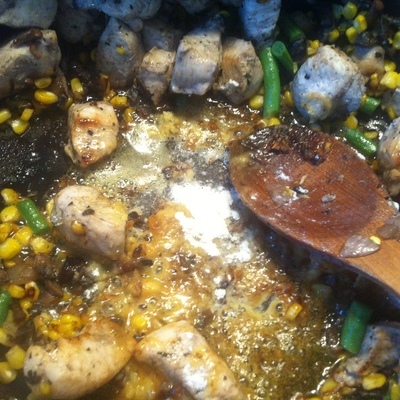 When sauce is made, allow to simmer until chicken is cooked through, then serve on a bed of fresh rice. Special Note: For a richer sauce, you could add a tablespoon of cream when you put in the milk. Do you watch sailing races? What style of sunglasses do you wear? Do you make lunches fun for kids?